We are pleased to announce one more addition from our developers community. More Apps are on the way. Watch what you want, when you want on SBS ON DEMAND. The SBS On Demand app gives you free, unlimited access to SBS content so you can watch your favourite shows when you want. 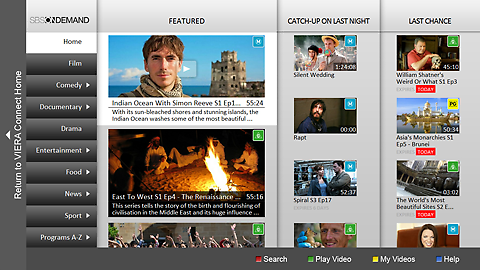 Browse through an extensive catalogue of series, documentaries, films, news, sport and more! Discover exclusive content and all your favourite SBS programs in full screen and high resolution quality. This App is available in Australia only.